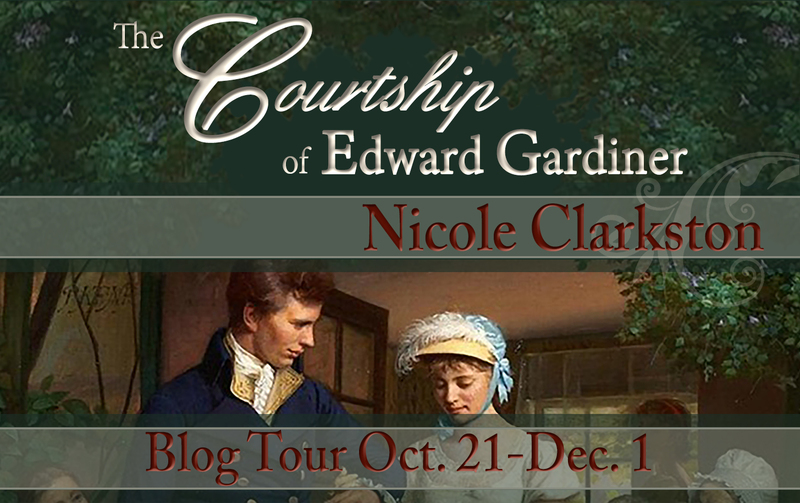 In the beginning of October I was honored to present you with the beautiful cover Janet Taylor created for Nicole Clarkston’s latest novel, The Courtship of Edward Gardiner. 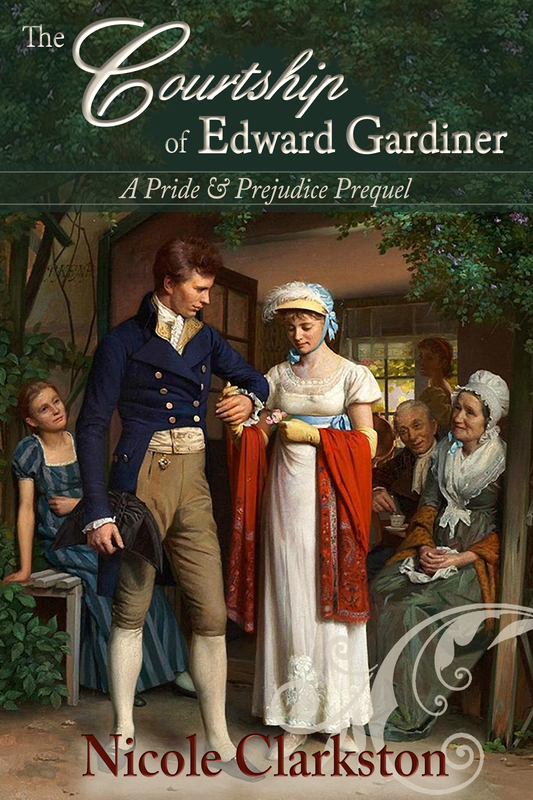 I was very happy to notice that not only everybody loved the cover, but also that Mr. and Mrs. Gardiner were one of the most beloved couples amongst Janeites. The book is already making a lot of people curious, and I am sure that it will not disappoint those who love Pride and Prejudice. For that reason, I’m even more happy to announce today the winner of the giveaway that Nicole Clarkston hosted along with the cover reveal. The Courtship of Edward Gardiner is currently available for pre-order on Amazon because it will only be released next week, so the winners will have a chance to read this book first hand! Congratulations ladies! Please send me your e-mail addresses to ritaluzdeodato at gmail dot com. If you are not the winner but you have this book on your TBR list, you should follow the upcoming blog tour which will start with the launch post at More Agreeably Engaged on the 21st of October. During the blog tour there will be plenty opportunities to read reviews, excerpts, guest posts and to participate in the giveaways! Congrats to the winners! I’m very excited about being on the tour! Thanks Rita for the giveaway 🙂 Looking forward to reading this book. Congratulations, everyone! Countdown to release day! I’m definitely counting! 🙂 Thanks for the giveaway, Nicole.